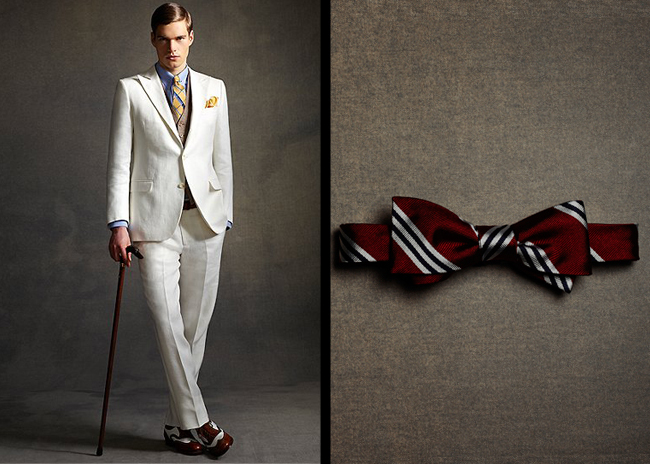 I’ve been saying ever since the trailer for The Great Gatsby came out last year that it would be the next fashion trend to be inspired by a film (guy liner and pirate necklaces, anyone?). 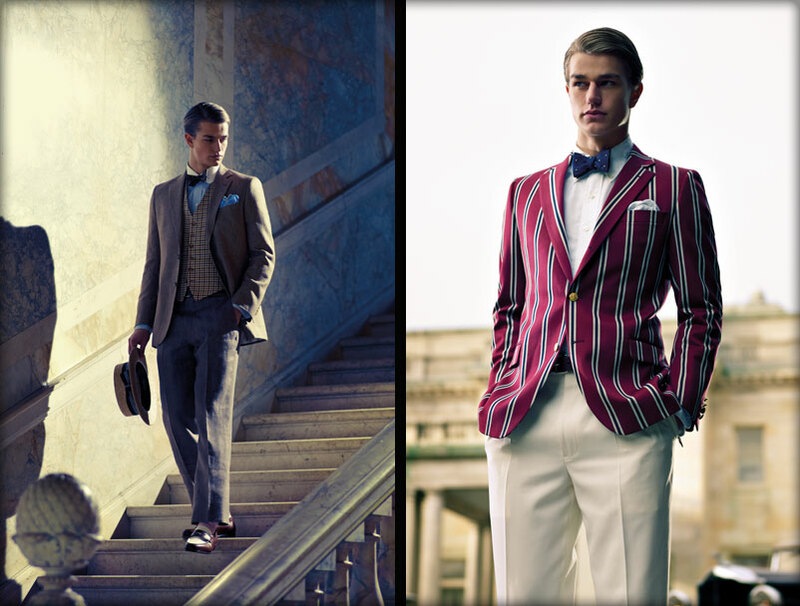 It appears that Brooks Brothers took this idea to heart and justifiably so, seeing as how they actually designed all of the clothes in the film (although you did a stellar job last time Ralph Lauren). 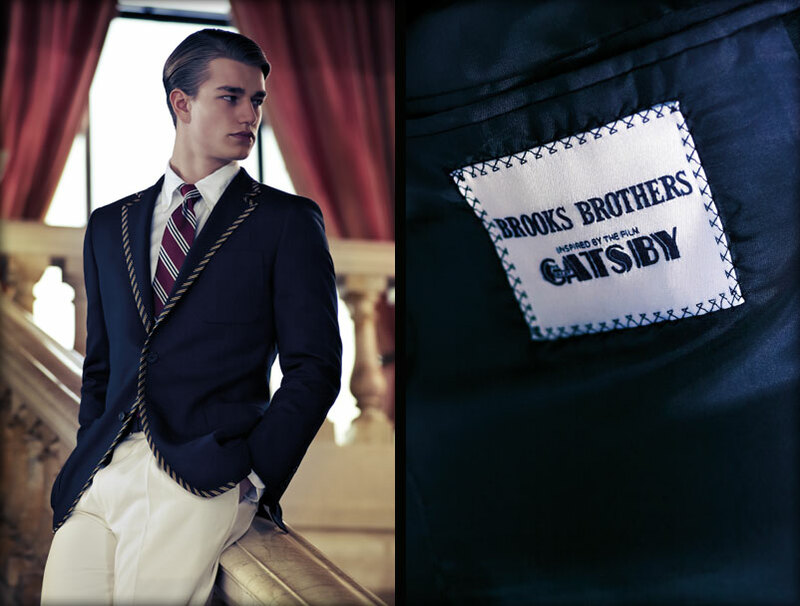 Realizing people would be chomping at the bit for the beautiful clothes in the movie, Brooks Brothers just released their Great Gatsby Collection which was inspired by costumes from the film. While some of the items may be a bit out of our price range, I’m certainly looking to at least get my hands on one of these bow ties to wear to the big premier. 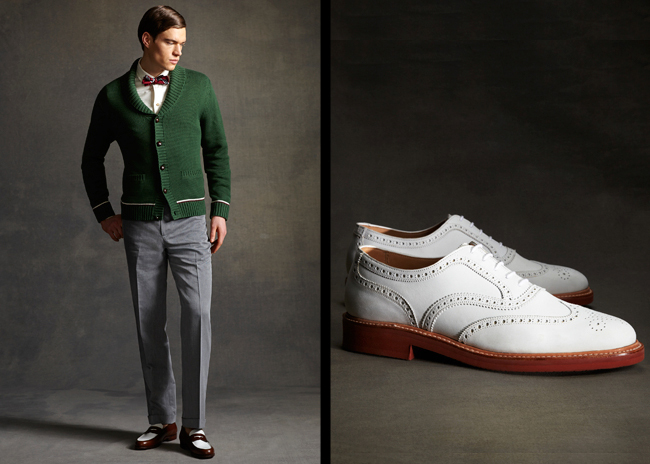 See you there, Old Sport!